aircon, we always do it better. Any air conditioning unit will accumulate dust, dirt and grime over time. It is essential not to ignore its regular maintenance to keep the system running at its best. Regular cleaning can help to wash away the dust particles but it may not be an effective solution in eliminating the dust build-up and accumulation in the internal components of the air con. 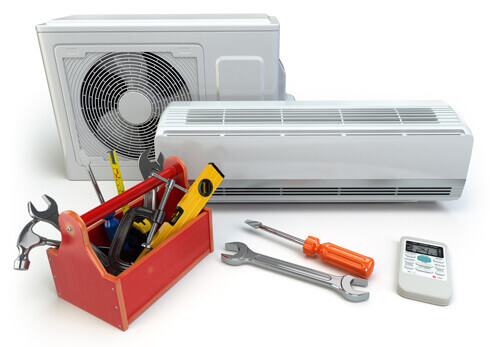 Engage in an aircon servicing company or contractor in Singapore which renders repair, cleaning and maintenance services for your aircon to perform at its best. 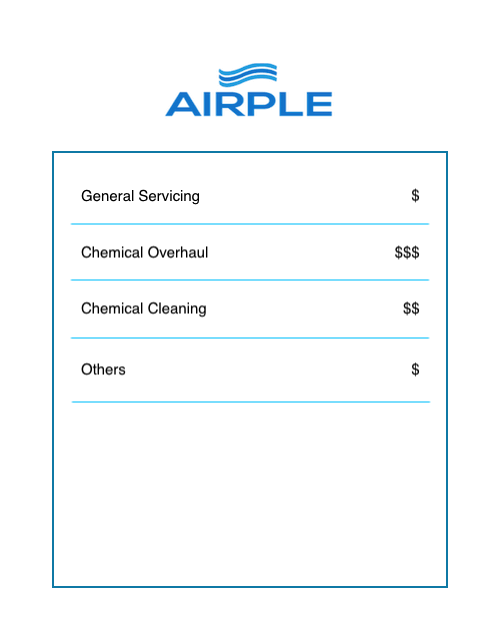 At AIRPLE, we specialize in providing aircon general servicing, repair, chemical overhaul and cleaning services in Singapore. Our packages include cheap, promotional rates if you service 3 units and above at a low price per unit for more savings. We lend our expertise to check various air con parts such as evaporator coil, air filter and drainage pan, as well as test the working condition of the unit. With regular cleaning and replacement of filters, it can help to maintain the normal airflow and expel fresh, clean air while ensuring optimal cooling efficiency. When there is accumulated dust and it isn’t cleared out effectively, normal airflow is obstructed. Additionally, it will also impair the aircon’s cooling performance. The air that bypasses the filter can carry dirt into the evaporator coil directly and affect the heat-absorbing capacity of the coil. When you are able to detect and rectify common problem like clogged filters, leakages and defective parts, it can ensure your air conditioning is not overworked and performing optimally. Without servicing, it can lead the system to be strained which can result to a host of problems such as quick wear and tear of parts, overheating, higher energy consumption and possibly a complete breakdown of the aircon unit. Going for an aircon maintenance on a regular basis will save you time, money and the frustrations in the long run, for long-term savings and prolonging aircon lifespan. Regular maintenance is necessary for the aircon’s parts such as coils, filters and fins for the unit to function and perform efficiently throughout its years of service. For example, if you replace a dirty, clogged filter with a new, clean one, it will restore the efficiency of your air conditioner and reduce electricity consumption, thus lowering your electricity bills. If you neglect necessary maintenance, it can lead to a steady decline in unit performance while electricity usage increases gradually. If you recently notice your aircon is not cooling enough or there are other issues that needs to get looked at, it is time to engage in aircon servicing in Singapore. 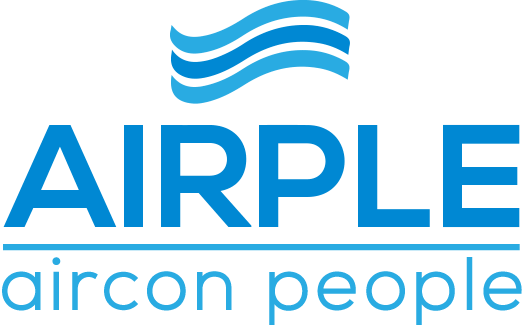 At AIRPLE, we are happy to discuss your aircon needs. Contact us today.